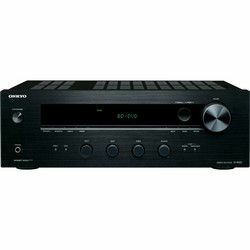 The receivers play all the similar formats like AAC, MP3, Apple Lossless, FLAC, WAV, and WMA. TX-8140 has an operational power consumption of 290 W versus 280 W for TX-8160. The total output power is also different comparing 190 W and 160 W accordingly. TX-8160 has got slightly more versatile features though, for example, it has a Dual Zone capability, Apple Airplay support, and Pure direct mode. A-B speaker switch, Auto power off and AIR Studios monitor certification are available in both receivers. The receivers have a Wi-Fi and IEEE. 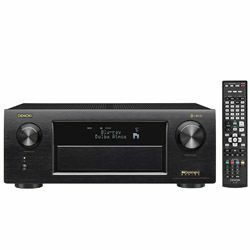 Onkyo TX-8140 vs TX-8160 also has a Bluetooth interface. There is no HDMI, no 3D either. The only available inputs are AV, Optical, Coaxial, USB, Phones and Subwoofer inputs. You have the free remote control app for tablets and smartphones. 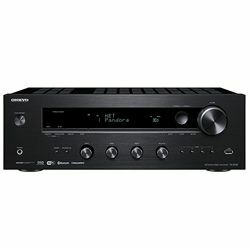 Both AV receivers look identical like twins. The front panels are symmetrical. The panels have a black matte chrome finish with similar buttons and controls. Onkyo TX-8160 vs Onkyo TX-8140 has a blue tint to the panels making it slightly different but pretty recognizable. All buttons and controls are conveniently and intuitively placed around the display. The setup and connections are easy to handle. 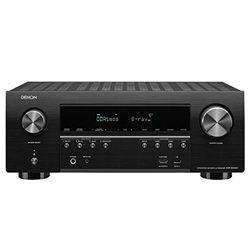 You can enjoy the 2-year warranty for new receivers. 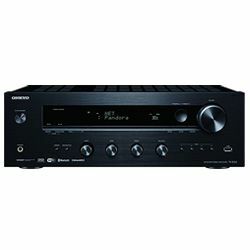 Very affordable for when you just need a basic receiver. The sound could have been better. Streaming services might drop once in a while. Hard to reach customer support. You have the Phono input for a turntable or vinyl discs player. Good sound for a humble price. 1-year warranty for the refurbished units. Some customers report sudden shutdowns after a few months of operation. The left side of the a-b speaker mode was weaker.